Home to one of the state’s largest historic districts, McKinney’s charm and comfortable pace is quite different from the metroplex’s urban sprawl, prompting Money Magazine to select McKinney as is #1 Best Place to Live in America in 2014. 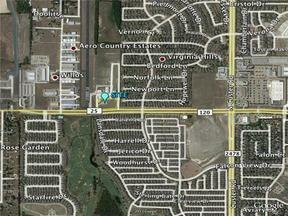 The city of McKinney is located just 30 miles north of Dallas. McKinney is a tight-knit community that offers tree-lined streets, and a historic downtown. This fast-growing city has a friendly, small-town feel despite the city’s population which topped 149,000 in January 2014. Whether you are looking for a starter home in an up-and-coming neighborhood, a Victorian-era “painted lady” on a quiet street, a maintenance-free condo, a loft with city views or a multi-million-dollar mansion in a master-planned community, you will find it in McKinney. McKinney has a unique neighborhood for every lifestyle and income level. 2,300 acres of open space, 50 miles of hike & bike trails, 47 parks, centers, and sports complexes. The McKinney Independent School District offers outstanding schools. The city currently has three high schools – McKinney High School, McKinney North High School and McKinney Boyd High School. McKinney’s diverse economy includes a healthy mix of retail, office and manufacturing. Some of McKinney’s leading employers include Raytheon, Emerson Process Management, Lattimor Materials, Encore Wire, Medical Center of McKinney, Torchmark/United American Insurance, Timber Blind Manufacturing, Orthofix and Simpson Strong-Tie. McKinney National Airport is located between SH 121, U.S. 75 and SH 380 and is minutes from downtown Dallas, Richardson’s Telecom Corridor and the Millennium and Legacy Business Parks. McKinney National Airport is rapidly emerging as the new corporate airport of choice for businesses operating in the North Dallas area. The airport is currently home to several corporate tenants, including Texas Instruments, EDS, Crossmark, Inc., Encore Wire, United American Insurance, McKinney Aerospace, Lattimore Materials, Pinjet Aviation and North Dallas Aviation.